If you’re unhappy about fat deposits around your stomach that won’t surrender to diet or exercise, you have plenty of company. Liposuction is now the most popular form of cosmetic surgery in the United States, with 396,048 procedures performed in 2015, according to the American Society for Aesthetic Plastic Surgery. 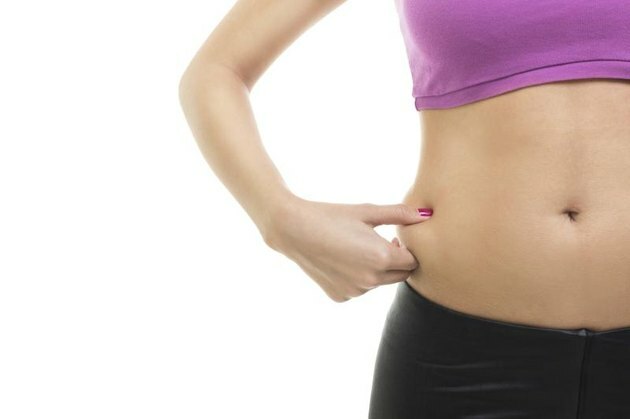 While there’s no magic wand to make jiggly belly fat go away, liposuction may offer a solution for love handles and other unwanted forms of flab. 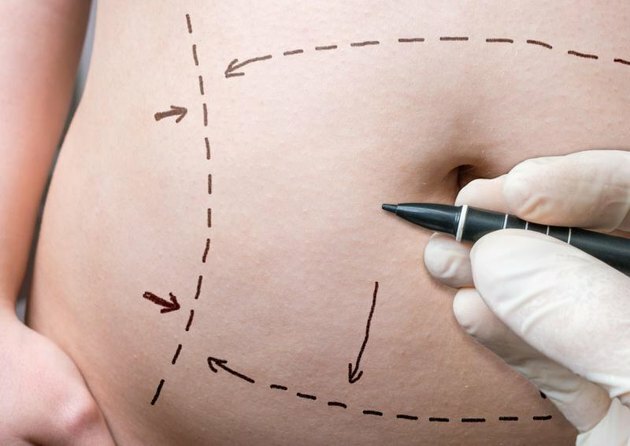 If you’re considering liposuction for your stomach, here are five things you need to know to make an informed decision. Aging brings on a general redistribution of body fat, especially around the middle. For women, childbirth can leave behind a roll of stubborn and unsightly belly fat. And, of course, genetics count for a lot, too. But when it comes to liposuction, not all fat is created equal. Fat that’s resistant to diet and exercise is usually subcutaneous fat, which lies beneath the skin and on top of the abdominal muscle wall. The good news is that’s what liposuction is intended to remove. Liposuction can remove pockets of flab, recontour your middle and improve your shape. Although liposuction is used to get rid of fat, it’s not a weight-loss solution. Liposuction works best on deposits of fat that are concentrated in particular areas and resistant to exercise, particularly around the stomach, thighs, hips and buttocks. You might lose a little weight, but it’s not likely to be significant. Liposuction also won’t fix a bulging stomach that’s caused by weakness in the abdominal wall, and it won't tighten loose skin. For toning and flattening the abdominal area, however, liposuction is sometimes combined with abdominoplasty, also known as a tummy tuck, in which fat is removed from the belly, the muscle wall repaired and excess skin removed. A technique called “tumescent liposuction" is the most common method for removing fat around the stomach, buttocks, thighs and ankles. It’s also considered the safest. “Tumescent” means that large amounts of buffered salt water are injected into fatty tissue beneath the skin. The doctor makes a cut in the fatty area to be treated, then inserts beneath the flesh a strawlike tube called a cannula that is attached to a vacuum. At the end of the cannula is a stiff wand. The doctor moves it back and forth in rapid motions to loosen fat. The procedure takes 45 minutes to two hours, with a recovery time of up to two weeks. The full effect of liposuction is seen six to 12 weeks after the procedure is performed. After the procedure, the area is bandaged and the patient must wear a compression garment for one to two weeks. Pain and bruising may last up to two weeks, and swelling may last for two weeks to two months. 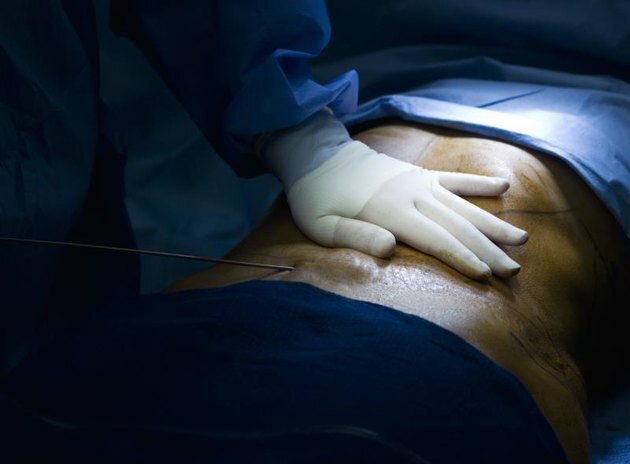 Any licensed physician can perform liposuction, but it’s usually performed by plastic surgeons and dermatologists in their offices with local anesthesia, though it may be performed in a hospital under general anesthesia. No special training is required, though some doctors’ professional associations recommend it. When choosing a doctor, you may want to consider whether they have had specific training for liposuction and how many they have performed. Although the removed fat cells are unlikely to grow back, body fat has been shown to return to preliposuction levels within a year after the surgery, particularly returning to the abdominal area. Researchers believe the body compensates for the rapid fat loss by putting on more fat. In a trial of 34 women published in the September 2012 edition of the journal “Obesity,” the cosmetic benefits of liposuction were lost after one year. A later study, however, suggested that recurrence of belly fat can be avoided by exercise. Can You Get Rid of Fat Cells?